A small town was a community where everybody knew your name, your parents' names, and your grandparents' names. There was a Main Street that had at least one or two churches, a grocery store, 5 and 10 cent store, usually one bank, a movie theater, a farm and seed store, a hardware store, a doctor and dentist office, and if you were fortunate, a very small department store. Saturday evenings were the highlight of the week. Main Street was the gathering place for everyone in the community. The families would go to Main Street to park their cars along the street. It was a weekly social time for families to chat and to catch up on the most recent news. Today the small town Main Street is often closed businesses with boarded up windows. The movie theater showed its last movie long ago. The bank, if still in operation, has changed names and remodeled the old building so many times that it is difficult to recognize the former bank building. The schools have consolidated and changed their names. Neighborhoods have changed and some people do not know their neighbors. The family unit has dissolved to where often the whole family does not break bread together. Because of a longing to return to the small town community atmosphere, more and more retired people are purchasing homes in 55+ retirement developments. They often provide a club house for the residents to attend social activities and become a member of the community. People are beginning to meet more often in homes. For example, a small group of believers meet regularly to attend Bible studies in their homes. The Amish do not build church buildings, instead they meet in each other's homes to promote community and preserve the roots of their traditional religion. The followers of Jesus formed a community of believers and they met and worshiped together in each other's homes. For example, Martha welcomed Jesus into her home. Because of her hospitality, Jesus was given a place to rest His head, to eat supper, and to teach. She meant so much to Him because she welcomed Him into her home. Paul said in Acts 20:32 (The Message), “Now I'm turning you over to God, our marvelous God whose gracious Word can make you into what He wants you to be and give you everything you could possible need in this community of holy friends. This is where everybody knows your name! 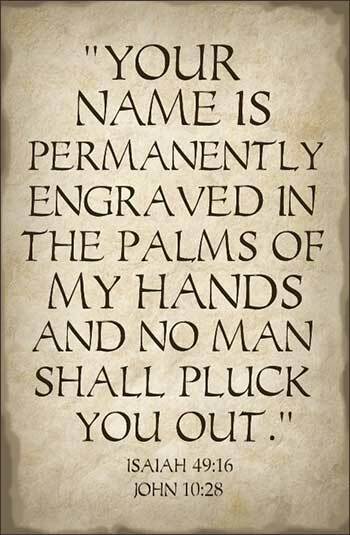 Lord, God, thank You for knowing our names. Amen.